Find out if this is the right title for you by digging deeper into its content and features. NOTE: This edition features the same content as the traditional text in a convenient, three-hole-punched, loose-leaf version. Books a la Carte also offer a great value—this format costs significantly less than a new textbook. Before purchasing, check with your instructor or review your course syllabus to ensure that you select the correct ISBN. Several versions of Pearson's MyLab & Mastering products exist for each title, including customized versions for individual schools, and registrations are not transferable. In addition, you may need a Course ID, provided by your instructor, to register for and use Pearson's MyLab & Mastering products. For introductory physical geography courses. 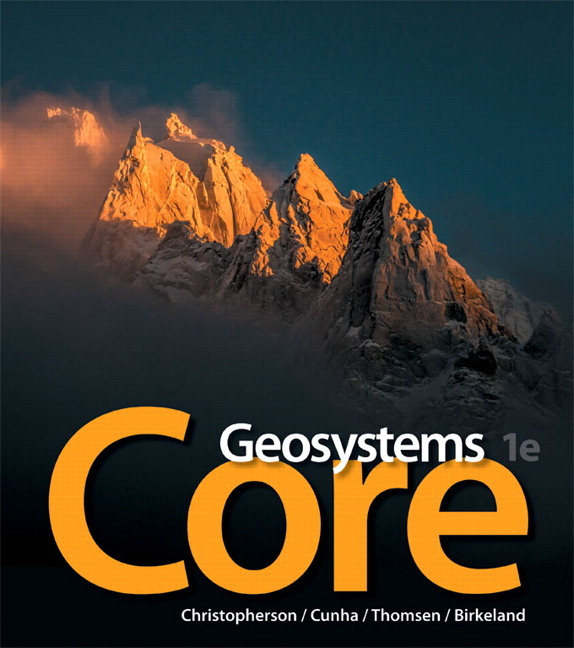 Highly regarded, best-selling author Robert Christopherson has partnered with renowned geographer and educator Stephen Cunha and longtime media author Charlie Thomsen to establish Geosystems Core, a brief, modular, highly visual and flexible textbook and springboard into physical geography. This approach allows instructors to teach concepts in their preferred order, empowering them to bring in their own case studies and applications to further illustrate the core concepts. 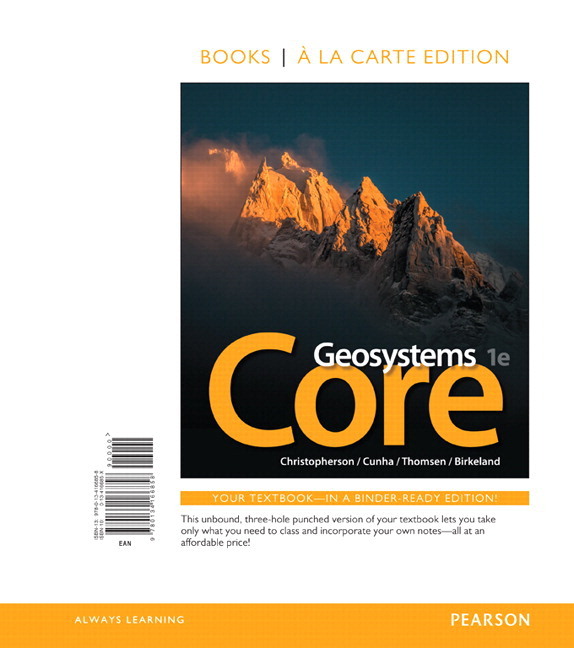 Instructors can also easily augment and extend the First Edition of the print book by leveraging the rich library of media and customizable assessment resources in MasteringGeography. MasteringGeographyis an online homework, tutorial, and assessment product proven to improve results by helping students quickly master concepts. Students benefit from self-paced coaching activities that feature personalized wrong-answer feedback and hints that emulate the office-hour experience and help keep students on track. With a wide range of interactive, engaging, and assignable activities, students are encouraged to actively learn and retain challenging physical geography concepts.